Gauge: approx. 5 st. per in. 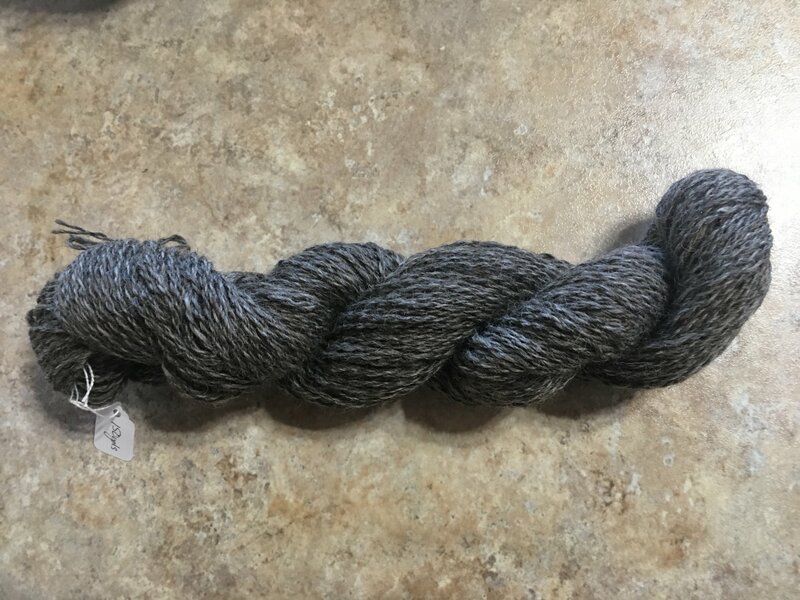 Here is a beautiful skein of bouncy, squishy Romney wool, with 150 yards of DK to light worsted in a medium natural grey. Romney is a strong, lustrous, medium-soft wool, a great all-purpose yarn that would make warm 1 skein socks or accessories or could be easily paired with all sorts of other yarns for larger projects. This is not superwash and could felt, please hand wash cold and dry flat.